To gain a competitive advantage, your business needs to harness the potential of your data. By joining important data sources, your business can unlock the hidden insights necessary to drive strategic decision making and yield higher quality business outcomes. Purpose-built for Amazon Redshift, Matillion leverages the power of the cloud to perform powerful data transformations. Join together your varied data sources through our powerful transformation capabilities, completing the process to make your data entirely analytics-ready. And many more. See our Features page for a summary of our feature sets. See Data Source Connectors for a complete list. Starting at $1.37 per hour, with no long-term commitment, Matillion ETL for Amazon Redshift can help you save and get more value from your IT spend. Check out Pricing for more information on hourly pricing and annual discount options. Get the support you need. Matillion’s Solution Architecture team is on hand to help and advise on your data transformation. Find out more about our inclusive Support for all Matillion user. 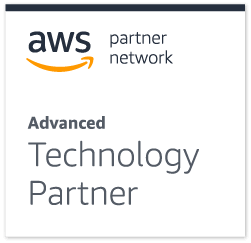 We are an AWS Advanced Technology partner, and are proud to be one of only a small number of AWS Big Data Competency certified companies in the world.